I found this wonderful article about the history of Labor Day. 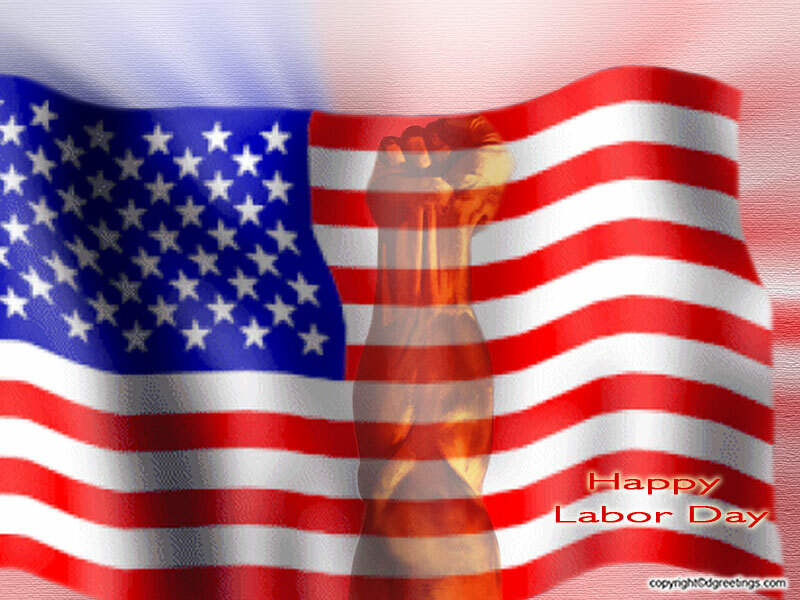 Did you know that on September 5, 1882 the first Labor Day parade was held in New York City? Twenty thousand workers marched in a parade up Broadway. They carried banners that read "LABOR CREATES ALL WEALTH," and "EIGHT HOURS FOR WORK, EIGHT HOURS FOR REST, EIGHT HOURS FOR RECREATION!" Do any of you get the 8/8/8? I'm not complaining: Hubby has a job, thank the Good Lord, but his numbers look more like this: 12/5/7 due to the fact he has to commute to his job. I wonder what the original organizer, Peter McGuire, would think of today's work environment?